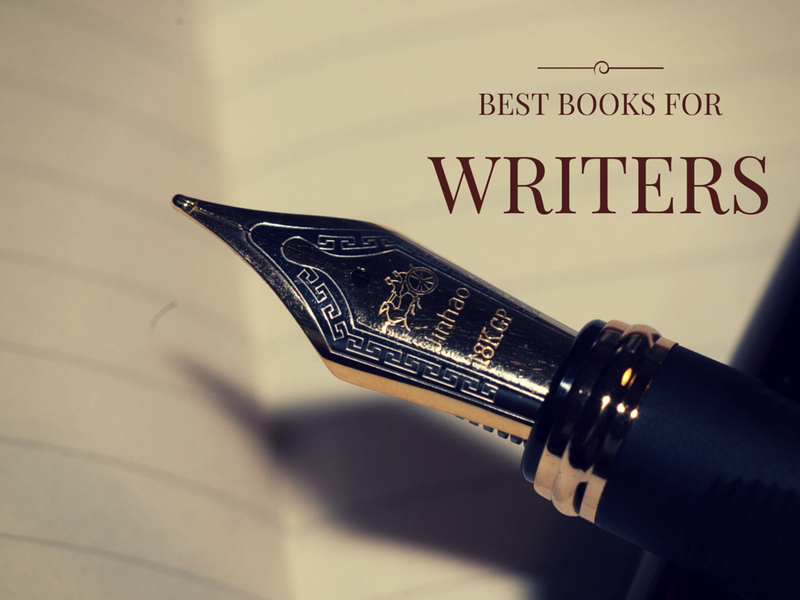 We all have that one book – that book that made us want to become a writer. Maybe it was the fluidity and beauty of the language that made you think, “I want to write like that!” Maybe the story was so compelling that you couldn’t put it down. Or perhaps it was a more practical work on non-fiction that made you turn a corner within yourself. Whatever the reason, books have the power to change us immensely. They shape our worlds and guide us as we are propelled forward. But just because you were already inspired to get started doesn’t mean you can’t still learn a thing or two. Worlds best writers read many books and read wide variety of books. Just like any other creative art writing is constant learning and re-writing the same in more effective and powerful ways. These books will offer you the beginning advice and inspiration you need to become a better, more committed writer. Widely considered one of the best books about writing, On Writing is part exposé on the life of a writer, and part style and mechanics guide. In addition to offering practical tips for writers, King includes fascinating and often frightening stories from his youth. You’ll be so entertained that you might forget you’re learning. The War of Art will call you out on every one of your self-sabotaging habits. It will point out all the reasons you are allowing yourself to fail and encourage you to commit yourself to working on your projects every day. If you’ve ever wondered what’s holding you back from really pushing forward on your manuscript, get ready for some tough love. Haunting and unexpected, Rebecca will stay with you long after you close its pages for the last time. The story is told by a young woman whose name you never learn. She marries Maxim de Winter whose first wife, Rebecca, passed away the year before. As she is known throughout the book, the “Second Mrs. De Winter is drawn into the mysterious shadow left behind by Rebecca. The prose and language will change you and inspire you to write with the same vigor and honesty. You could almost add any Dickens novel to this list, but there’s something about A Christmas Carol that just begs to be appreciated. The story is perfectly written. The characters are well rounded and diverse. The message rings as true today as it did when it was written. And Ebenezer Scrooge is one of the most dynamic characters in literature. No list of books that can improve your writing is complete without The Elements of Style. The published issues a new version most years. This extensive manual covers all the nuances and mechanics of becoming a great writer. Are you looking for ways to spice up your writing and make it more exciting and effective? Pick up a copy of Sin and Syntax. Writers spend a lot of time learning how to strip sentences down, so they’re not too full of fluff. Sin and Syntax teaches you to “banish the bad words like so many banal suitors [and] burnish the good ones till they shimmer. Nobody will ever call this an easy read. But the complexity of the story and the genius use of multiple narrators makes The Sound and the Fury an incredible read. As a writer, you can learn a lot from Faulkner’s masterful use of narration. One narrator is unreliable, as he does not have a concept of linear time. The second narrator describes the last day of his life before killing himself, and the third narrator is omniscient. As a writer, you must adhere to a style guide. If you want to write books, that style guide is the Chicago Manual of Style. The manual covers everything you need to know about proper grammar and mechanics. Greek, Roman, and Norse myths have a tremendous impact on modern culture and literature. Having an understanding of the classic myths will aid you as you compose stories and characters. Memoirs can be overdone and egotistical. They can also be fantastic, related, and wonderful. Naked, Drunk and Writing definitely falls into the latter category. Lara’s writing is cheeky and engaging. It might be that great readers naturally are drawn to writing. It also might be that when you are a writer, you naturally become a better reader. In any case, the two activities are intrinsically bound. Reading Like A Writer will help you get the most out of everything you read. Get an inside look at the world of editing and publishing from Betsy Lerner. She was an executive director at Doubleday and is currently a literary agent. This book is helpful if you’re trying to get your manuscript published. You will learn what kind of a writer you are (according to literary agents), and what it takes to be published. With this collection of essays, Bradbury hoped to inspire a generation of writers. The essays focus on Bradbury’s life and career as a writer, as well as his wisdom and excitement for the topic. You should read this for many reasons, the least of which is that inevitably you will someday be asked about it. Also, it is beautiful, poignant, and a fascinating glimpse into Maya Angelou’s soul. Self-editing is arguably the hardest part of writing. Not only do we not like to edit our own work, we’re generally pretty bad at it. It’s much easier to miss your own mistakes than to miss those of others. Self-Editing for Fiction Writers walks you through some best practices for the grueling process. Writers have the incredible power to influence our hearts and minds. And when they can influence fellow writers, those powers are compounded. These books are all profound and important. They have the capability to improve your writing and inspire your creativity. The real challenge is to choose the one you’ll read first! Julie Petersen is a private English language tutor and a content marketing specialist. At present time she works as a blog editor and EssayMama.com writing service and works on her own educational blog for students. Contact Julie here.